Material flow, a model used in supply chain management, represents the transportation of raw materials, parts, work-in-progress inventory, and final products as a flow; flow is how work progresses through a system. When a company has a “good” material flow, materials at different stage moves steadily and predictability, but a “bad” flow means there is a lot of stops and starts in the process, ultimately resulting in an inefficient system. 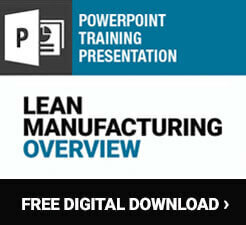 If a company is looking to go Lean, the material flow is a great place to start. When processes are uneven and materials sit in storage or are stopped mid-production, it costs the company time, money, and resources. Having excess inventory on hand can result in extended lead times and defected problems, and a poor flow of materials can make it hard for managers to re-order materials on time. 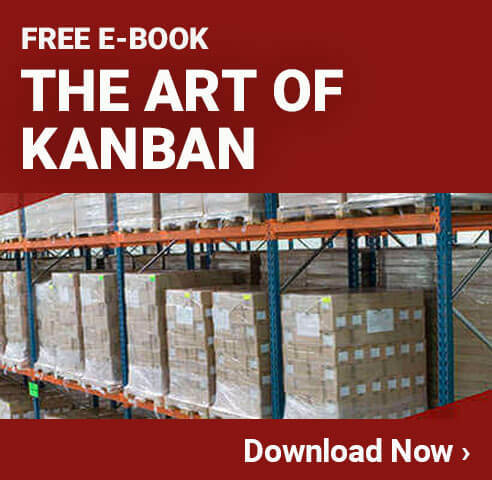 Lean manufacturing promotes the idea of operating a pull system and utilizing tools like Kanban to ensure materials move around the facility efficiently. It is important to look at the material flow in a facility from all departments including warehousing, production, shipping, and receiving. The goal is obtain a level material flow and have each and every department on the same page. Value stream maps are a tool used to evaluate the current manufacturing process before beginning the journey of Lean or to periodically assess a Lean program. The flow of materials can be tracked on a value stream map, making it easier for managers to identify issues in the system and areas for improvement. A VSM is a map of the facility with the path of materials laid out from start to finish. It also indicates the amount of time it takes for the materials to move through the workplace. Usually included in these maps are how long certain tasks take, how often orders for materials are placed, and unplanned stoppages. Leaders then look to identify the spots in the flow of material that are not adding value to the company or the customer. These are the areas that can be optimized or improved for increased efficiency and productivity. Other Lean tools and programs can be utilized to improve material flow like Kanban cards and boards, and it can be beneficial to implement a material flow program like Plan for Every Part (PFEP).